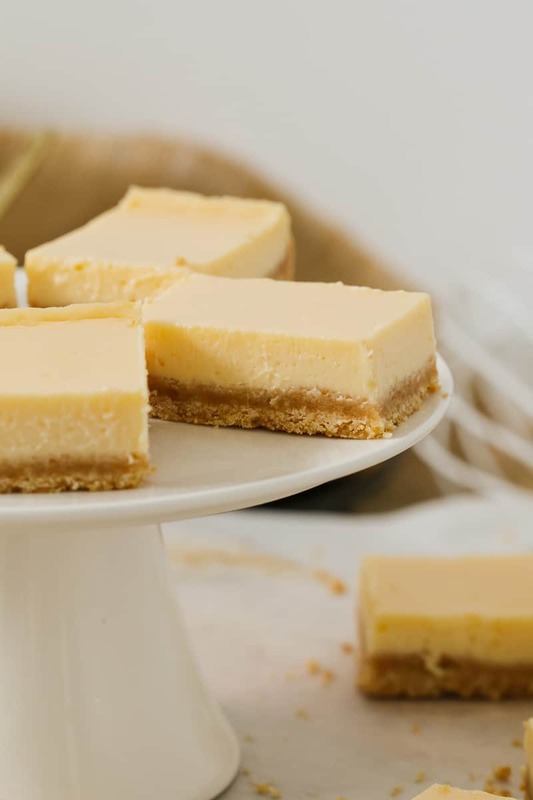 A classic creamy lemon slice made with just 5 ingredients! 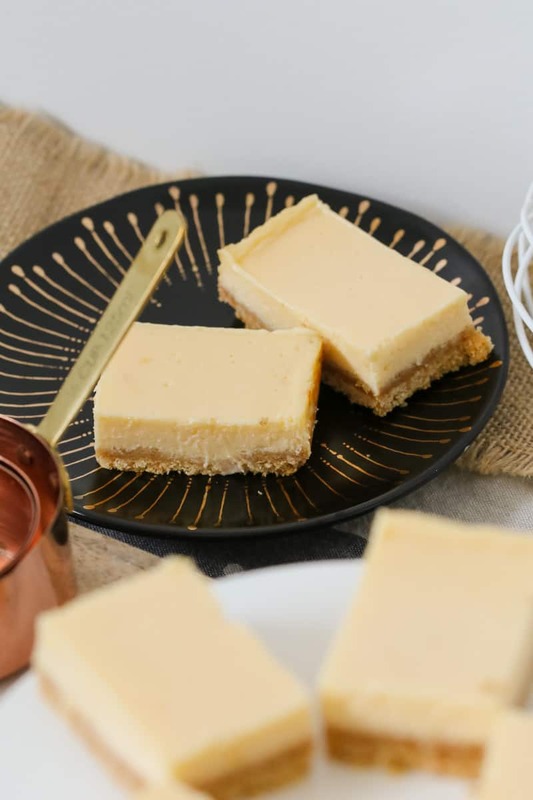 This baked lemon slice takes less than 10 minutes to prepare… and tastes AMAZING!!! When it comes to baking, anything made with lemon is always a winner! 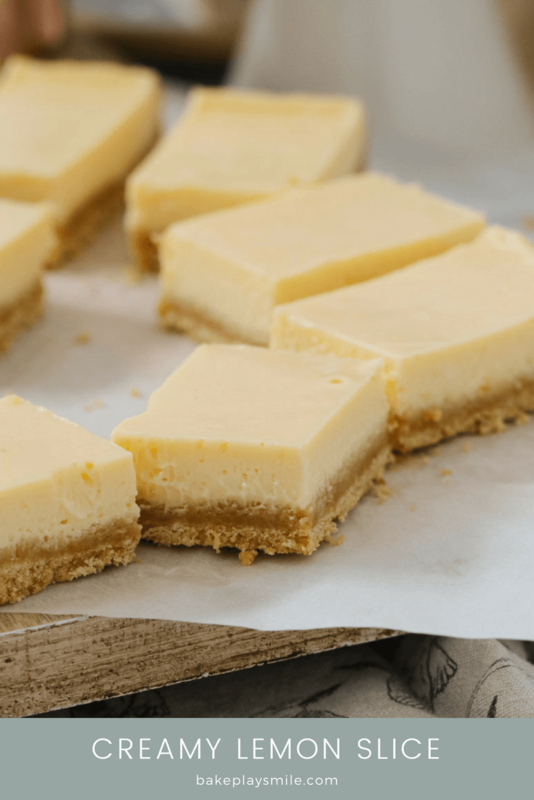 Lemon slices, cakes, biscuits, cheesecakes, puddings and balls have that perfect combination of sweet and zesty… you just can’t beat it! 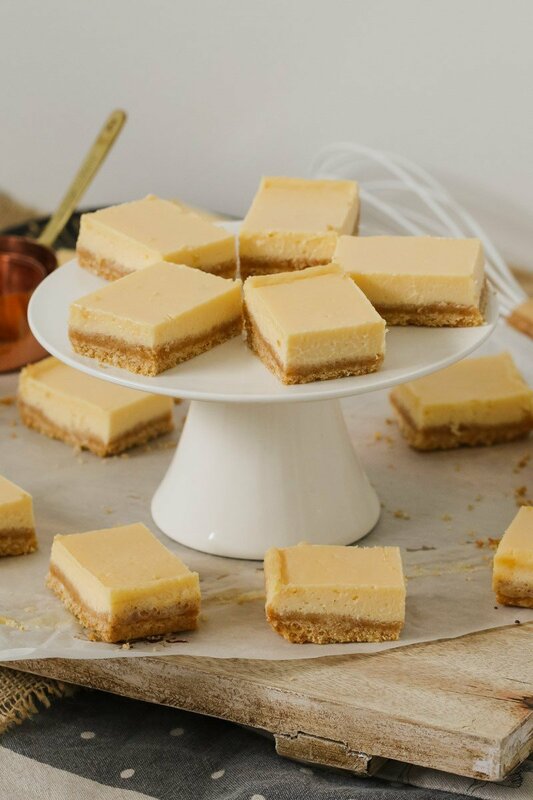 And this Creamy Lemon Slice is the perfect example of a deliciously simple recipe using lemons. It’s quick, easy, no-fuss baking at it’s best! 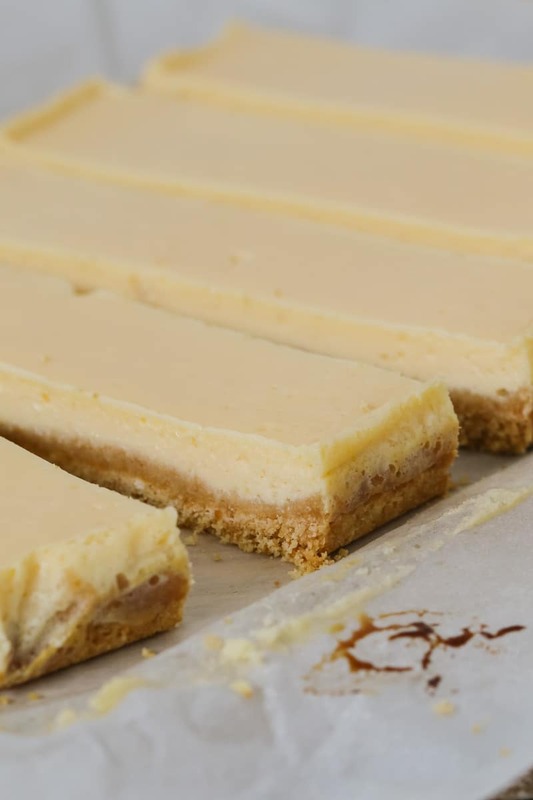 And the best part about this Creamy Lemon Slice??? It’s made from just 5 ingredients!!!! 5!!! How good is that. 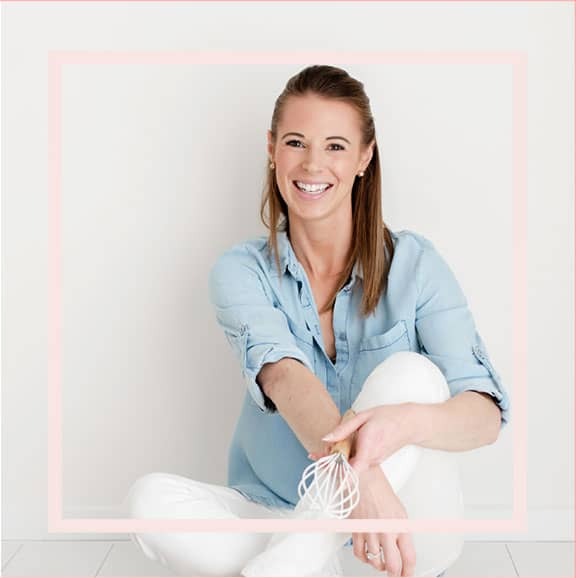 Have you got those things in your kitchen right now?? 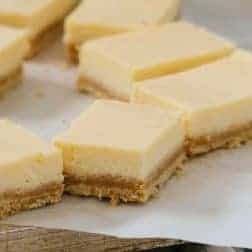 To make this Creamy Lemon Slice, you simply mix the crushed biscuits and melted butter together and press into a slice tin. Bake for 10 minutes and then take out of the oven. 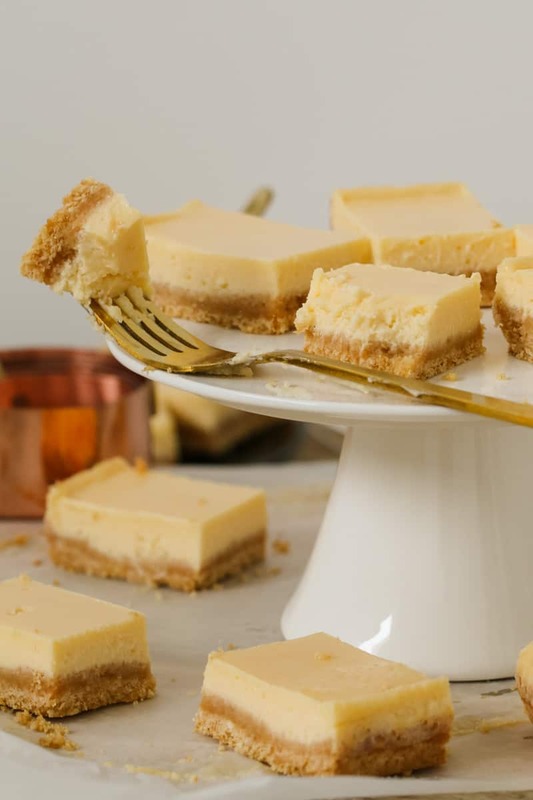 Meanwhile beat the lemon juice, sweetened condensed milk and eggs together, pour over the top of the base and then bake for a further 15 minutes or until just set in the middle. I told you this was super easy, right!? How long can lemon slice be stored for? One your slice has been cooked and cooled completely, store it in an airtight container in the fridge for up to 5 days (but good luck resisting eating it all on Day 1!!!). 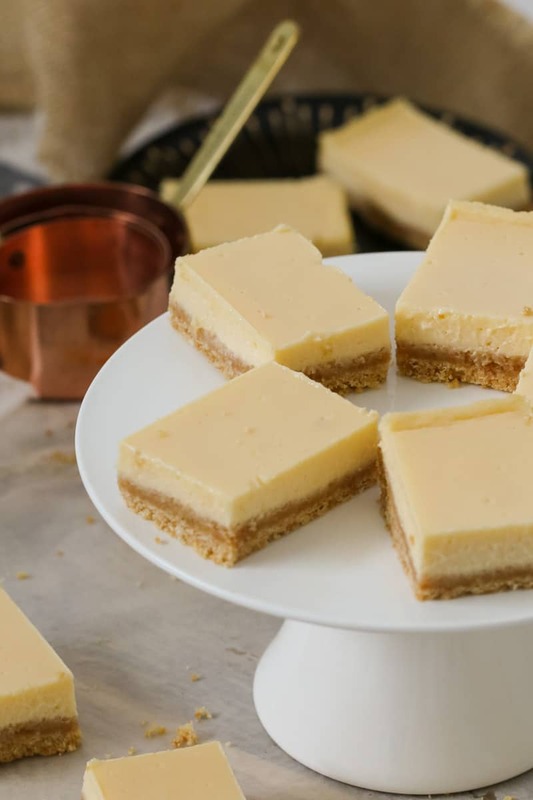 This Creamy Lemon Slice really is the perfect slice for fundraisers, morning or afternoon tea… or even just as a cheeky late night treat. What are your favourite lemon recipes? 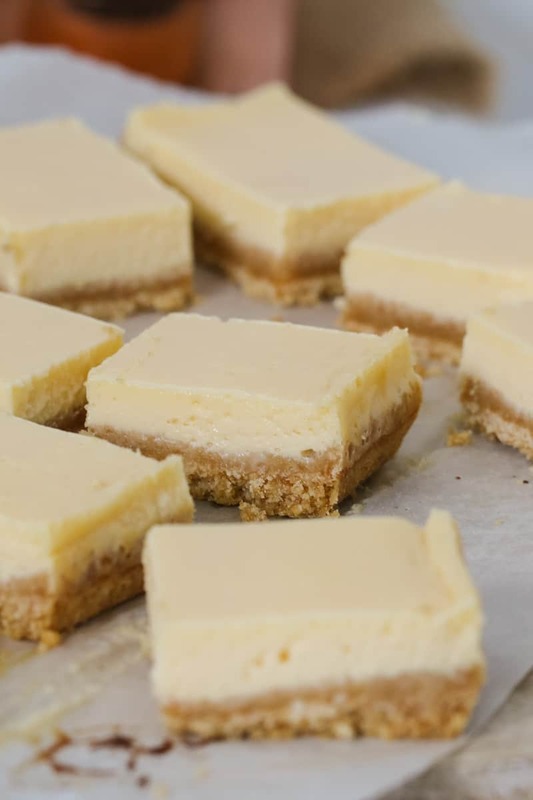 A classic creamy lemon slice made with just 5 ingredients! 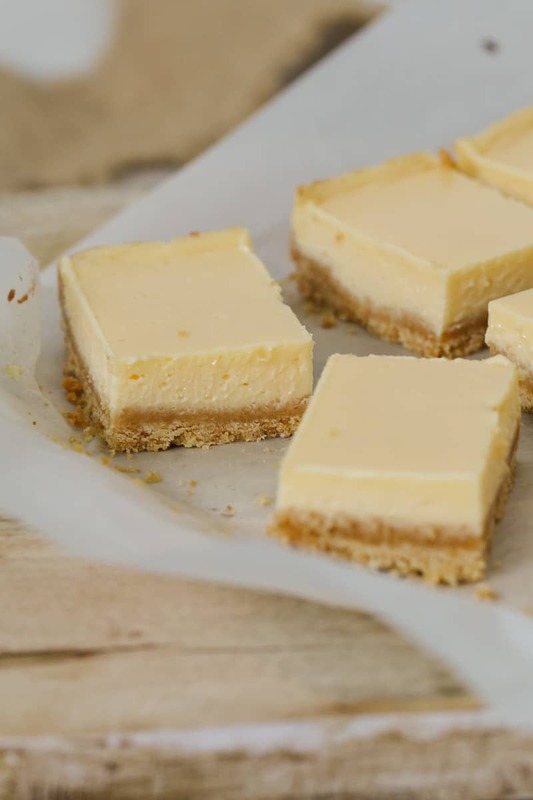 This baked lemon slice takes less than 10 minutes to prepare... and tastes AMAZING!!! Preheat oven to 160 degrees celsius (fan-forced). Grease and line an 18X28cm slice tray with baking paper and set aside. Press the biscuit mixture firmly into the base of the tin. Bake for 10 minutes in the oven. Remove and allow to cool. Using electric beaters or a stand mixer, beat the sweetened condensed milk, lemon juice and eggs until creamy (approximately 4-5 minutes). Pour the liquid onto the prepared base and bake for 15 minutes or until set. Allow to cool in the fridge for a minimum of 4 hours (preferably overnight). Preheat oven to 160 degrees celsius (fan-forced). Grease and line an 18X28cm slice tin with baking paper and set aside. Firmly press the mixture into the base of the prepared tin and bake for 10 minutes. Remove from oven and allow to cool. Place the sweetened condensed milk, lemon juice and eggs into a clean and dry Thermomix bowl and mix on Speed 4, 45 seconds. 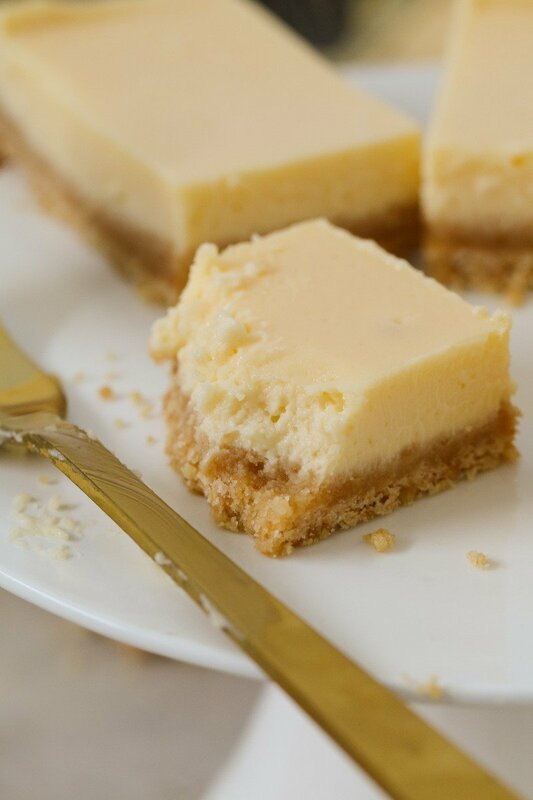 Scrape down the sides and mix for a further 45 seconds or until creamy. 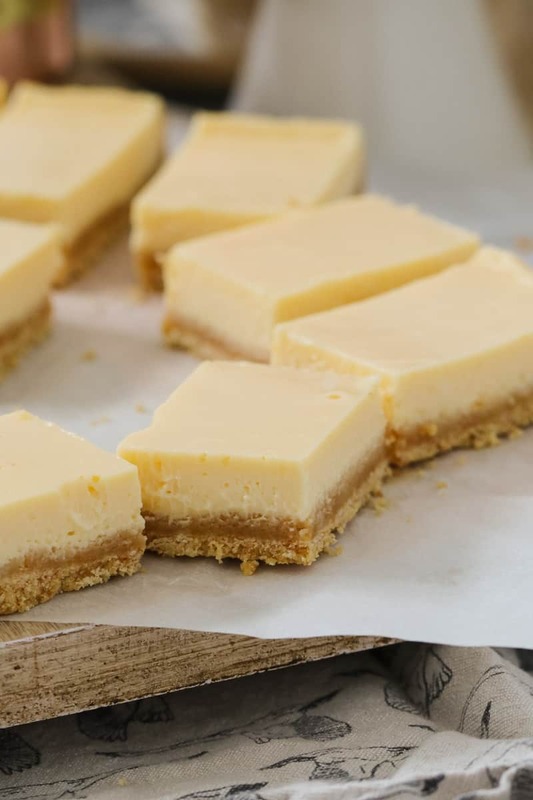 What sort of sweet biscuits do you use for this slice? A huge fail for me as the egg, lemon juice and eggs didn’t thicken after beating for 10 minutes!